The Sabaragamuwa University of Sri Lanka  (Sinhalese : ශ්‍රී ලංකා සබරගමුව විශ්වවිද්‍යාලය, Tamil : சபரகமுவா பல்கலைக்கழகம்) is a public university in Belihuloya, Balangoda, Sri Lanka. It was founded on 20 November 1991 and consists of Eight faculties. This ancient university was established by Kalikala Sahittya Sarvagna Pandita ParakramaBahu, the Second (1235-1271 AD) in the Dambadeniya period. Bhikku Dharmakirti held its chancellorship. Meanwhile, the monastic institution of higher education in Sabaragamuwa had been in the custody of Deva Pathiraja, the royal agent to the King Parakramabahu, the Second. During the early 1990s, the Sri Lankan government came up with the concept of "University Affiliated Colleges". The concept was triggered by social problems faced by the younger generation, in addition to several committee reports which made recommendations to the government on youth unrest. Based on these reports, the government decided to open new avenues for the younger generation by means of establishing diploma-awarding bodies, which were to be affiliated with several national universities. The Sabaragamuwa Affiliated University College (SAUC) was one such institution formed in affiliation with the University of Sri Jayawardenepura. Established at Belihuloya in the Sabaragamuwa Province on 20 November 1991 under the Sabaragamuwa Province Affiliated University College Ordinance No. 14 of 1992, the SAUC was ceremoniously declared open by His Excellency R. Premadasa, then President of Sri Lanka, on 8 February 1992. Following the opening, academic programmes of the SAUC commenced on 7 May 1992. Prof. Dayananda Somasundara, the founding director of the college, determined that the SAUC should become a national university. Guided by his motivation, the academic, administrative and non-academic staff, students, and the nearby communities actively contributed towards the development and promotion of SAUC into a national university. As a result, the government decided to elevate SAUC to the status of a national university, amalgamating the Uva Affiliated University College (UAUC) at Rahangala and the Buttala Affiliated University College (BAUC) as the Faculties of Agricultural Sciences and Applied Sciences respectively. (Before this amalgamation, the SAUC at Belihuloya and the UAUC at Buttala were affiliated to the University of Sri Jayawardenepura, while the UAUC at Rahangala was affiliated to the University of Peradeniya.) The directors of the UAUC and BAUC were the Rev. Elle Wimalananda Thero and Prof. Arthur Bamunuarachchi respectively. Professor Dayananda Somasundara was appointed as the first vice-chancellor in 1995. He continued in the post till 2001. The Faculty of Agricultural Sciences was functioning at Rahangala under difficult conditions until 2001. The main difficulty was the long distance between the university’s main premises and Rahangala. In addition, the academic staff and students pleaded with the university administration to shift the Faculty of Agricultural Sciences from Rahangala to the main university premises at Belihuloya. In response, the faculty was moved to Belihuloya in 2001. Meanwhile, the Faculty of Applied Sciences was still operative in Buttala. In 2008 this, too, was moved from Buttala to the main university at Belihuloya for the same reasons. At present, the university has five faculties — Agricultural Sciences, Applied Sciences, Geomatics, Management Studies and Social Sciences and Languages. SUSL has several other institutes and centres, which are in great demand. They offer programmes to undergraduate and postgraduate students and the wider community. The university practices a semester-based system and conducts most of its study programmes in English medium. Although a bilingual medium (English/Sinhala or English/Tamil) instruction is available in the Faculty of Social Sciences and Languages, the proportion of students who follow study programmes in Sinhala medium is on the decline. Examples of the courses offered only by SUSL are the B.Sc. degrees in Surveying Sciences, Agri-Business Management, Food Science and Technology, Tourism Management, Physical Education and Sports Sciences Management, Eco-Tourism Management, and many more. In addition to the above SUSL offers B.A. degrees and conducts postgraduate studies in subjects such as Ayurvedic Hospital Management, Indigenous Community Studies, Entrepreneurship and New Venture Creation etc. Students who follow these degree programmes benefit from these courses; this is as an incentive for the university to continue to introduce more innovative courses. The university has signed several memoranda of understanding (MoUs) with international universities, and national and international organizations, with the primary intention of collaboratively raising standards of academic excellence. Among the international institutions that have ventured into partnership with SUSL via MoUs are leading educational bodies such as Durham University, UK; Guilin University of Technology, China; Shivaji University, India; Gombe State University, Nigeria; and Gothenburg University, Sweden. The SUSL is in the former Japanese expatriate village of the Samanalawewa project. Hence, from the inception of SUSL, some of the Samanalawewa project buildings became available. After expansion and renovation, this village became the hub of the university. Compared to its past, the university has achieved a high level of infrastructural development, including modern, state-of-the-art building complexes for its faculties. Management Studies, Social Sciences and Languages and Applied Sciences have received new building complexes, with up-to-date technology and facilities. Upon the invitation of Prof. Mahinda S. Rupasinghe, the vice-chancellor of SUSL, the new building of the Faculty of Applied Sciences and the second stage of the faculty building of the Faculty of Social Sciences and Languages were ceremoniously declared opened by His Excellency Mahinda Rajapakshe, president of Sri Lanka on 31 March 2012. Also present were the Hon. S. B. Dissanayake, minister of Higher Education, Hon. Nandimiththra Ekanayake, deputy minister of Higher Education and other honored guests. Meanwhile, construction of the new buildings complex for the Faculty of Geomatics and the playground and pavilion were completed as well. The Faculty of Agricultural Sciences had several new buildings, which were deemed adequate for its present requirements. In the future, a separate new building will be constructed for the Faculty of Agricultural Sciences to hold its growing student population. These infrastructural changes reflect steps taken towards the progress of the university. SUSL is in the southern foothills of the central mountain range about 162 km from Colombo, on the Colombo–Badulla (A4) road. Administratively, SUSL belongs to the Imbulpe Divisional Secretariat and to the Ratnapura District in Sabaragamuwa Province. The university is 500 m from the Pambahinna Junction, on the A4 highway which runs through Belihuloya. The closest city to the university is Balangoda (18 km), the closest railway station is Haputale (31 km), while Bandarawela is only 40 km from the university. The SUSL was established on 7 November 1995 by the Gazette Notification No. 896/2 and operates under the provisions of the Universities Act No. 16 of 1978 and the Universities (Amendment) Act No. 7 of 1985. SUSL was ceremonially declared open on 2 February 1996 by Her Excellency Chandrika Bandaranaike Kumaratunga, the president of Sri Lanka. The organizational structure represents a number of chief administrative positions such as chancellor, vice-chancellor, deans and many others, who plan for future development. They implement and monitor decisions taken by the overall management. The chancellor of the SUSL is the ceremonial head of the university and presides over the University Convocation. The chancellor is nominated by the president of Sri Lanka for five years. The president of Sri Lanka appoints the vice-chancellor out of three nominations made by the University Council for three years. The vice-chancellor is the principle Executive, Academic Officer and Chief Accounting Officer of the university. The vice-chancellor is also the chairman and ex-officio member of the Council and the Senate of the University and is responsible for the maintenance of discipline and academic work. Sabaragamuwa University is on track to a major development process in human and physical aspects. The vacancies in academic and non-academic staff are being filled to cater to the nation more effectively. Meanwhile, the implementation of the Master Plan of the university has taken off giving fresh hopes of dawn of a new era. The university was awarded some 155.5 million rupees 2004/5 for improving the relevance and quality of undergraduates in higher education. This money is in addition to the annuals government funds received. Shivaji University, established in 1962, is in Kolhapur, Maharashtra, India. The university's campus is 853 acres, and is named after Chhatrapati Shivaji Maharaj, founder of the Maratha Empire. It was inaugurated on 18 November 1962 by Sarvepalli Radhakrishnan, the then president of India. Yashwantrao Chavan and Balasaheb Desai took the lead in establishing this university. Kolhapur, Sangli, and Satara come under its jurisdiction with 279 affiliated colleges and recognised institutes. One of the major objectives behind its foundation was to cater to the regional needs of South Maharashtra. The University's efforts towards excellence are being recognised by the substantial grants received from funding agencies like University Grants Commission (India), Department of Science and Technology (India), and DBT. 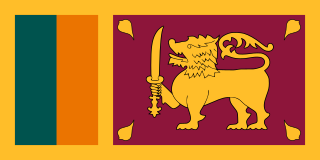 "The Open University of Sri Lanka" (OUSL) is a national university in Sri Lanka. It is unique within the Sri Lankan national university system for being the only university to offer programs of study leading to Certificate, Diploma, Degrees and Postgraduate degrees up to PhD level through the Distance Mode Learning. The degrees awarded by the university are treated as equivalent to degrees awarded by any other Sri Lankan University under the preview of the University Grants Commission. The University of Colombo is a public research university located primarily in Colombo, Sri Lanka. It is the oldest institution of modern higher education in Sri Lanka. Specialised in the fields of natural, social, and applied sciences as well as mathematics, computer sciences, and law. It is ranked among the top 10 universities in South Asia. The University of Moratuwa, located on the bank of the Bolgoda Lake in Katubedda, Moratuwa is the most sought after technological university in Sri Lanka. Apart from academics including undergraduate and postgraduate studies, the University of Moratuwa presents social and cultural activities, student services, societies, and sports and recreational activities. The institution was known as Ceylon College of Technology, Katubedda before gaining university status. Its roots go back to the Institute of Practical Technology founded in 1960 to provide technical education. The University of Kelaniya is a state university of Sri Lanka. Just outside the municipal limits of Colombo, in the city of Kelaniya, the university has two major campuses, seven locations, six faculties and four institutions. The Eastern University, Sri Lanka is a public university in Vantharumoolai, Eastern Province, Sri Lanka. It was established on 1 October 1986. The university was preceded by the Batticaloa University College established on 1 August 1981 which was started in the buildings of the Vantharumoolai Madya Maha Vidyalayam. The University of Peradeniya is a state university in Sri Lanka, funded by the University Grants Commission. It was established as the University of Ceylon in 1942. The University of Ruhuna is a public university in Matara, Sri Lanka. The University of Sri Jayewardenepura is a university in Sri Lanka. It is in Gangodawila, Nugegoda, near Sri Jayewardenepura Kotte, the capital city. It was formed in 1958 out of the Vidyodaya Pirivena, a Buddhist educational centre which was founded in 1873 by Ven. Hikkaduwe Sri Sumangala Thera. Wayamba University of Sri Lanka is the thirteenth national university in Sri Lanka. It was established in January 1999. The main purpose of the university is offering English-medium degree, diploma and certificate courses in areas such as Agriculture, Applied Science, Management and Technology for students and working professionals. The courses are highly up-to-date and job-oriented. University of the Visual and Performing Arts (UVPA) is a public university located primarily in Colombo, Sri Lanka, specialising in art, design, fashion and the performing arts. It was formerly known as the Government College of Fine Arts, Heywood Institute of Art and the Institute of Aesthetic Studies of the University of Ceylon. It has no known date of foundation, but there is evidence of teaching as far back as 1893. It is the only university in Sri Lanka to exclusively offer special degree programs in visual and performing arts. The South Eastern University of Sri Lanka is a public university in Oluvil in Sri Lanka. Established in 1995 as a university college, it became a full-fledged university in 1996. Like all public universities in Sri Lanka, SEUSL receives the bulk of its funding from the University Grants Commission (UGC), part of the Ministry of Higher Education in Colombo. The UGC and the central government therefore exert a great deal of control over SEUSL. Rajarata University of Sri Lanka is a public university located in the historic city of Mihintale, near Anuradhapura, Sri Lanka. The Rajarata University of Sri Lanka was established as the eleventh University in Sri Lanka and was opened on 31 January 1996 by President Chandrika Kumaratunga. The University of Jaffna is a public university in the city of Jaffna in Sri Lanka. Established in 1974 as the sixth campus of the University of Sri Lanka, it became an independent, autonomous university in 1979. Like all public universities in Sri Lanka, UoJ receives the bulk of its funding from the University Grants Commission (UGC), part of the Ministry of Higher Education in Colombo. The UGC and the central government therefore exert a great deal of control over the university. Uva Wellassa University is a Sri Lankan national university. The university was established by government gazette effective 1 June 2005 in Badulla, Sri Lanka as the 14th national university of Sri Lanka. President Chandrika Kumaratunga established the university in 2007. The university was officially opened by Sri Lankan president Mahinda Rajapaksa on 5 August 2009. It is the first all-entrepreneurial university in Sri Lanka. It is designed to provide essential skills and broad general education for all students while providing the conceptual and methodological background and the training to obtain practical solutions for value addition to the national resources base of Sri Lanka. The University of Peradeniya, in Sri Lanka, is composed of nine undergraduate faculties of study. These faculties contain 79 departments in total. In addition, the university has two postgraduate institutions and six affiliated centres. Ranjith Premalal De Silva is a Sri Lankan professor of Agricultural engineering and former Vice Chancellor of the Uva Wellassa University. He is a foundation member of Geo-Informatics Society of Sri Lanka. The Faculty of Applied Sciences oversees four departments at the Wayamba University of Sri Lanka. The University of Vocational Technology (UNIVOTEC) (UoVT) Sinhalese: වෘත්තීය තාක්ෂණ විශ්වවිද්‍යාලය, Tamil: இலங்கை வாழ்க்கைதொழில் தொழிநுட்பவியல் பல்கலைக்கழகம் is established by the parliamentary Act No. 31 of 2008, in 2009 and functions under the purview of the Ministry of Youth Affairs and Skills Development. The general objective of the University of Vocational Technology is to provide progressive upward movement to the students in the Technical Education and Vocational Training System, based on their aptitudes and abilities, to acquire university education. Mohamed Mujithaba Mohamed Najim is the fourth Vice Chancellor of the South Eastern University of Sri Lanka since June 2015. He is the youngest Vice Chancellor appointed to the South Eastern University of Sri Lanka. He is a Professor in Environmental Conservation and Management attached to the Department of Zoology and Environmental Management, University of Kelaniya and has done extraordinary service to Sri Lanka as an Environmentalist. He was awarded many presidential awards for the scientific research he has done on water resources management. ↑ Lanka, Sabaragamuwa University of Sri. "Sabaragamuwa University of Sri Lanka". www.sab.ac.lk. ↑ "Faculty of Graduate Studies". ↑ "Faculty of Agriculture Sciences". ↑ "Faculty of Applied Sciences".